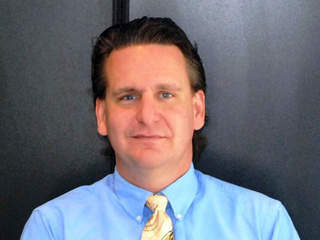 Alan Crowetz, CEO of InfoStream, answers your questions about ID theft and how to protect yourself from being a victim. If I only used my target Visa card to make a payment on my account at the store do I need to be concerned? Great question Rob. Your credit score should not be effected as long as you notify the credit card company timely. They will reverse the charges. Changing Pin Numbers is never a bad thing. However, this would not be the only step you need to take. It is possible to use the credit card number and CCV number online without needing a pin. You should discuss with your bank getting a new card number. Thank you Larry. 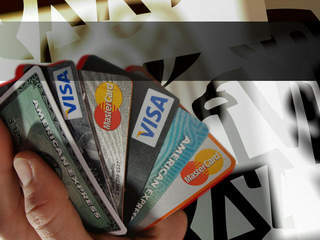 Unfortunately, Credit Card theft is a major and regular issue companies have to battle on a daily basis. Brandy... I always recommend being extra cautious with your financial and personal information, however, you should be ok as long as you keep an eye on things. Hello there, I have a question I applied for a Target Credit Card on the 10th of December should I cancel it and get a new one issued? Nancy, if you cancel the debit card you used at Target and get a new one, that will protect you. They cannot get new information using the credit card, only use the existing information to get money from the account. If you disable that debit card, you prevent that access. Erica: Just keep checking. It can be months before theifs try to use the card. Keep an eye out! I shopped at target between the given dates. I used my target red debit card. Should I be worried? I have not noticed any fraud yet... Does that mean I'm safe or should I continue to keep an eye out? Jo: Possibly. However, the debit card companies should reverse and recredit the money as long as you report the false charge timely. If I cancel my debit card and request a new one will that help? Besides card info, can they somehow get your bank account info? Like account number, etc. Your credit card company or the bank of your debit card will protect you. By law you are only responsible for $50.00 in a fraud situation. However, most banks and credit card companies will protect you and refund the full amount. Jeff: The breach affects ANY cards used at a physical Target store. Regardless of the brand. Did the breach just happen with Target debit and credit cards or any debit or credit card used at Target? Is there any protection for the fraud, will target reverse the charges if they are fraud? Thank YOU Scott: Glad we can be helpful. As a side note... Canadian users are supposedly safe. thanks. i'm in canada. love your stores. Candace, the stolen information cannot be used to get further information from your bank, but it could be used to grab money from an existing account. Tricky question Larry: I will never tell someone they shouldn't be paranoid and overly cautious with security, however, as long as you check your statements and report any issues you should be fine. Should we call our credit card company n request new card to play it safe? Jo: The single best thing you can do is check your credit card statements EVERY month and look for anything suspicious. I have a Target Debit Redcard that is connected to my bank account. Can they get my bank account information or just my card information? Yes Scott: As long as you find and report any theft/issues in a timely manner. will my card be credited? You likely will not see anything on your Target account. The break in did effect Target customers but it was really the credit card companies that were breached. Check with your credit card company and as always... check your statements closely. I cannot even log into my target account to see if there is anything going on, what can I do? However... the credit card companies have made it very clear you will not incur any costs as long as you find and report any issues after you get your statement. Kim: We have seen the same. A lot of people are calling Target AND the credit card companies and they are overwhelmed. Cannot get on the website to check my account. Tried calling but held for a long time. Is there an alternative to reach Target account? Interesting question Terry: the issue only effects physical use of your card in Target stores. Years ago there was a rather large breach with TJX which is TJ Max and Marshals. Mike: Unfortunately, that likely will not protect you. However, the good news is that as long as you check your statements carefully for any issues, and report them timely, you will not be liable for any false charges. Be sure to check your credit card statement when you get it. Not just this month but every month. If you find any false charges, they WILL reverse them and you are NOT liable. What is the first thing that we should do if we used our card at Target during this time. Liz: Always a good idea to be paranoid. You are generally pretty safe as a consumer, however, I always strongly recommend checking EVERY statement thoroughly for any concerns. I was a victim of this hacking. My Debit card had a $ 1850 pending purchase thats after investigating my crecit union reversed. I have a new debit card now. Are there any other steps I should be taking or following up on? Great question Angela. No. The hack was limited to physical card use IN the stores and not online. You are safe. WPTVThere are a four steps you should take immediately to protect yourself. WPTVAlan Crowetz is the President and CEO of InfoStream, Inc., a computer and business-consulting firm based out of West Palm Beach, Florida.